How Can I Prevent Wind Damage from a Storm to My Home? 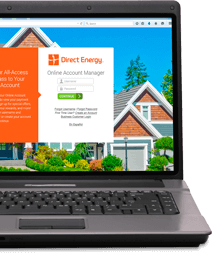 Home > Learning Center > Weather Readiness > How Can I Prevent Wind Damage from a Storm to My Home? Black clouds pile up on the horizon and start creeping toward your home. As they blot the sun, the pressure rises, filling you with anticipation, dread, and even a bit of excitement that lifts the hair on your arms and neck. What happens next may be hard to predict, but often the mighty winds of a strong thunderstorm can make a real mess of things. This is because severe thunderstorms can be capable of producing a tornado with little warning. But even in the absence of an actual tornado watch, straight-line winds can come roaring through, thanks to the powerful downdrafts caused by sinking air in a storm cell. These winds can range from 50 mph to over 100 mph in speed, making them just as a damaging as tornado winds, as they topple trees, snap limbs, and cause damage to your home and vehicles. They can strip shingles from rooftops and push cars off the road. They have been known to knock manufactured homes off their foundation — even when they are anchored. So, before the next storm arrives, we want to help you prepare your home and property for potential hazards so you can keep wind damage to a minimum. Then, when the storm arrives, you'll know how to assess what happened and get it repaired promptly. Look for signs of decay. In high winds, dead or weakened trunks and limbs are susceptible to breakage. Prevent decay with proper tree maintenance. Keep lawn mowers and weed trimmers from "wounding" the bark, and don't over-prune branches. Over-watering can lead to shallow root systems, which will make them less able to stand firm in high winds. At least once a year, climb the ladder and give your roof a once-over. 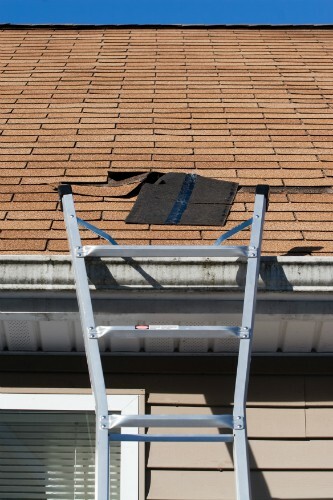 Check for loose or missing shingles and make sure the flashings are firmly in place. When it's time to reroof, invest in weather-resistant shingles. 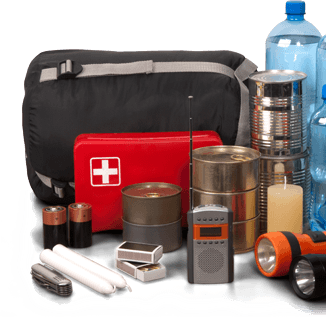 If a storm is heading to your area, bring in items that could be blown or pushed around in heavy winds. This includes patio umbrellas, deck chairs, gardening equipment, toys, and bicycles. Park vehicles inside your garage, or avoid parking directly under trees. Larger outdoor items such as patio tables, grills, and trash containers should be pushed up against the wall. After the storm, the first thing (after making sure your family and pets are safe), you need to examine your home thoroughly for damage inside and out. Don't allow children and pets to go outdoors unsupervised until you can check the area for fallen trees, power lines, and other storm damage that could cause injury. Do not touch downed power lines! In no shape, form, or fashion. Keep your distance, and don't retrieve objects near to or touching the line. Call your utility company immediately. Fallen trees If a tree or large branch has fallen on your roof, evacuate the house until a professional from the fire department or a roofing contractor can assess the damage. Contact your insurance company as soon as possible. Even if nothing heavy has landed on your roof, high winds can tear and peel away shingles. Search for signs of damage, such as loose or torn shingles, as well as new water stains on your ceiling or leaks in your attic. Thunderstorms can turn violent and unpredictable with little notice, but you can minimize the potential for wind damage if you take a time to identify and correct any hazards. Your primary goal should always be keeping your family safe.